After purchasing a money order from the United States Postal Service_,_ you can track its status by entering the serial number into the USPS online or phone money order inquiry system. You also can submit your request to USPS by email, by letter or in person. However, these methods don't provide delivery information. 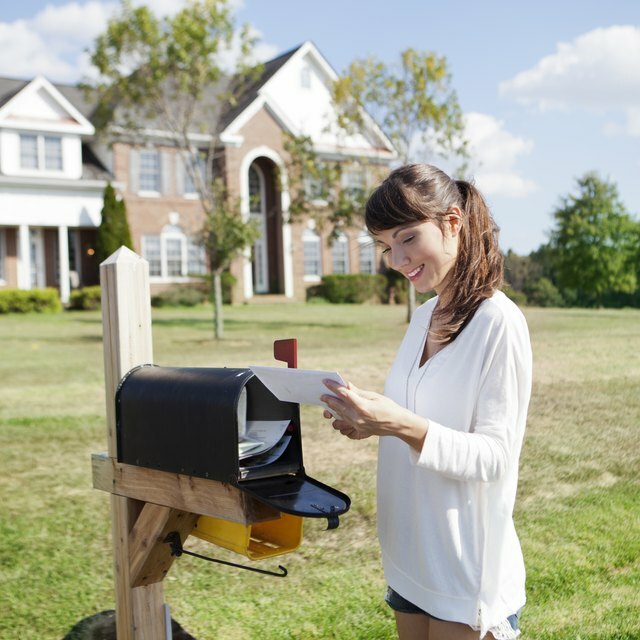 This is only available if you mailed the money order using a tracking service, such as certified or priority mail. If so, enter tracking number on the USPS website or automated phone system at 1-800-222-1811 to obtain date and time of delivery. Take a look at your purchase receipt. Locate the money order's serial number. If it is a domestic money order, the number will be 11 digits long. An international money order is 10 digits. You will need this to track the money order's status. If you can't locate the serial number, call U.S. Postal Inspection Service at 1-877-876-2455 for this information. Also note the date the money order was purchased and amount it was for, as this may come in handy later. The quickest way to trace your money order is to do so online. Enter the serial number into the USPS Money Order Inquiry System. You can check whether the money order has been cashed by checking the "6401 Inquiry" option. To find out if it was reported lost or stolen, check the option labeled "Lost/Stolen." After choosing your option and entering the serial number, click the "Go" button to review the results. This service is free. Another free and quick way to trace your money order is by phone. Call USPS at 1-866-974-2733. Select "Customer" option, then "Money Order Inquiry," and enter the serial number. You can also trace your money order by sending an email inquiry to the USPS Help Desk at helpdeskaccounting-st.louis@usps.gov. Include your name and contact information, along with the money order amount and serial number. Advise the Help Desk what information you are seeking, such as payment date or whether the money order has been reported lost or stolen. Although this inquiry method is free, results are not instantaneous. You will have to wait for an an email response from USPS, which can take a few business days. The options with the longest turnaround time are requests submitted to USPS in person and by mail. Obtain PS Form 6041 from your local post office. After completing the form, you can either hand it to a post office employee or mail it to the address on the form. Regardless of the delivery method you choose, you must include the $5.95 processing fee, as of 2018, with the form. After completing an investigation, USPS will send you a refund if the money order was not cashed, usually within 4 to 6 weeks. If it was cashed, you will get a copy of the cashed money order instead.